hands-on workshops for iPad wielding educators! If you are traveling to attend an iPad Media Camp, a variety of hotel options are available. This page will be updated for summer 2015 workshops soon! Hotels close to our workshop location (The Casady School) are shown on this Google Map. Hotels close to our workshop location (Bluemont Hall on the KSU Campus) are shown on this Google Map. A variety of hotels in the Edmond area are available. Workshops were held at the Yukon Public Schools Administration building at 600 Maple Dr, Yukon, OK 73099. A variety of Yukon-area hotels are available. iPad Media Camp is an independent workshop and has not been authorized, sponsored, or otherwise approved by Apple Inc. iPad® is a trademark of Apple Inc. See "Guidelines for Using Apple Trademarks and Copyrights" for more information. 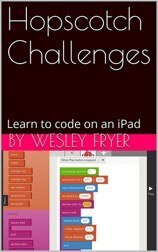 Be sure to also check out Wesley's iPad Productivity App Training!